The National Tree Day planting extends the planting at Sydenham Park that was started in 2014. We're calling on you to help plant 1500 trees at Sydenham Park in support of the 20th Anniversary of National Tree Day on Sunday 26 July (10am-3pm). 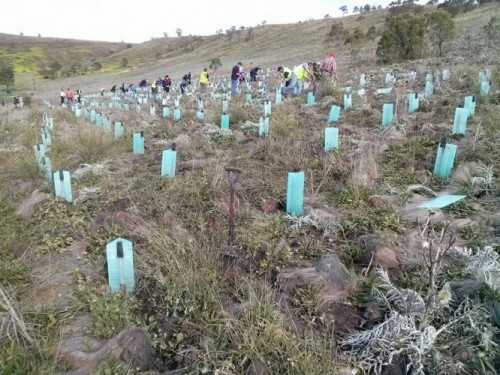 This year's National Tree Day planting extends the 2014 planting work. So if you were involved last year come along and see how your plants have flourished. This is the 14th year that Council has participated in National Tree Day. In the past five years alone, volunteers have helped us plant 6000 trees. Sydenham Park is part of the magnificent Maribyrnong Valley and isn't usually open to the public. While getting native plants in to the ground, and creating a safe habitat corridor for native animals, you'll experience the beautiful views of the Maribyrnong River valley. The planting is part of regional works aiming to rehabilitate large tracts of land, creating a natural link from urban Melbourne to Sunbury. Bring your own gardening gloves and water bottle. Wear a pair of sturdy shoes, long trousers and long sleeve top. No pets! All pets should be left at home, for the comfort of all. A barbecue cooked by the Rotary Club of Brimbank Central will be cooking up a great BBQ for helpers at no charge. 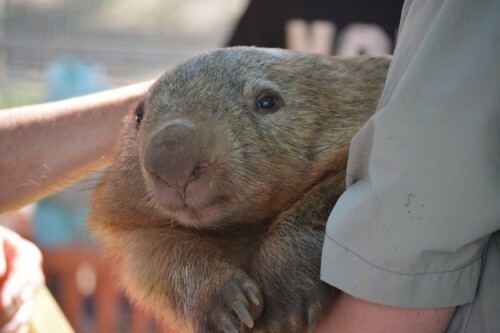 Animals of Oz will be there to provide an opportunity to get up close and personal with a wombat, wallaby and ring-tail possum when the Bush Babies visit. The planting day is a great community building initiative. 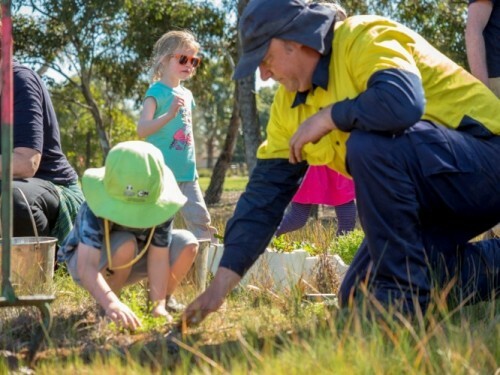 It gives you the opportunity to work together with like-minded people to build a better Brimbank while promoting the environmental, historical and cultural value of Brimbank’s natural landscapes.